Public housing is low rent housing built with government money . People who live in public housing pay about 30% of their household income for rent. 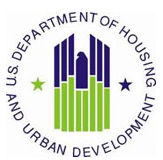 Funds for public housing come from the U.S. Department of Housing and Urban Development (HUD). 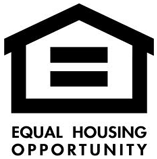 MCHA manages the public housing developments in Madison County. Some public housing developments are mixed-income developments and have units for different types of households. Some public housing is just for one type of household, such as housing for the elderly. The majority of public housing units are for the elderly and for people with disabilities . To be eligible for public housing, your references, criminal background check, and credit history should show that you will be a good tenant. For all public housing, you and the housing agency must sign a lease . The lease will list the rent you must pay, the names of the people who can live in your apartment, how long the lease will last, which utilities you must pay (if any), the rules you must follow, and the housing agency's responsibilities. You should read the lease and make sure you understand it before you sign it. If you do not speak English , you should ask to have the lease translated for you . Once you are living in public housing, you have the right to stay in public housing as long as you meet eligibility requirements, pay your rent, and follow the rules. If you decide to move out of public housing, you can end your lease as long as you give proper notice . Your lease will list the rules you must follow to end your lease. You can be evicted from public housing if you don't pay your rent, cause damage to your apartment, or take part in criminal activity. The MCHA will give you written notice if you partake in such activities. Once a year, the MCHA will check your income and household size and recalculate your rent. This is called your annual recertification . If your income goes up , you are required to report the increase to your housing agency. Your rent might go up. If your income goes down , you should report the decrease to the housing agency. The housing agency will recalculate your rent using your lower income. In most cases, your rent will go down. If your household size changes or if people move in or out, you must report the changes to the housing agency. You may need to move to a smaller apartment if you have fewer people in your household, or to a larger apartment if you have more people. In most cases, MCHA must approve new members of your household.